Gia Gulino celebrates a winning year, accepting the top prize with trainer Tina Judge-Boyle for the Marshall & Sterling Midwest Junior Equitation Championship. Photo Andrew Ryback. Oswego, IL – October 4, 2015 – Sixteen-year-old Gia Gulino from Saint John, IN, and her best friend and competition partner, Cappello, are preparing to head to the indoor final horse shows for the USEF/Pessoa Hunt Seat Medal and the ASPCA Maclay Finals. The pair qualified for the championships by March of this year’s show season and finished in the top 15 in the regional Maclay finals recently held in Kentucky. Gulino travels 75 miles from their home in Indiana to ride at Judgement Farm in Oswego, IL, with trainer Tina Judge-Boyle. Gulino and Cappello, a seven-year-old Dutch warmblood, imported last year, show in both the junior hunter and equitation divisions. This season, the duo managed to qualify for the Hunterdon Cup and Junior Hunter Finals and had the opportunity to show at the prestigious Devon Horse Show. They won the Midwest Marshall & Sterling Junior Equitation Championship and finished fifth in the Illinois Hunter Jumper Association’s Junior Medal Finals. 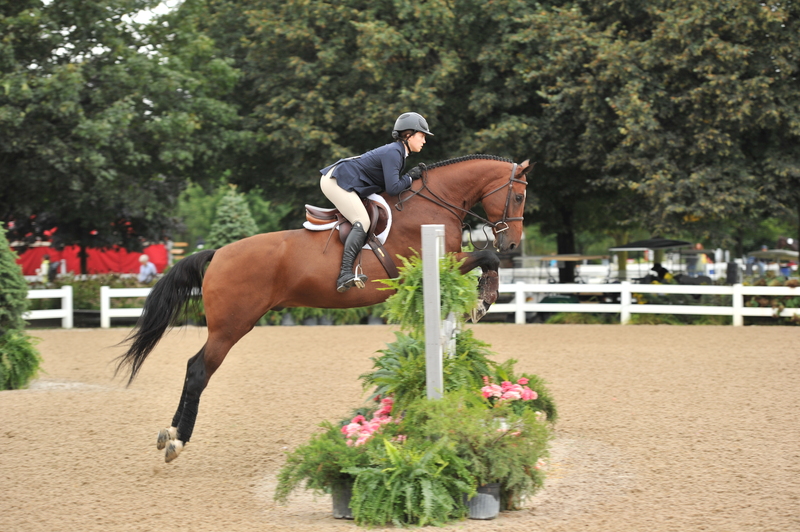 They also qualified for the Large Junior Hunters 15 and under for the Pennsylvania National Horse Show. 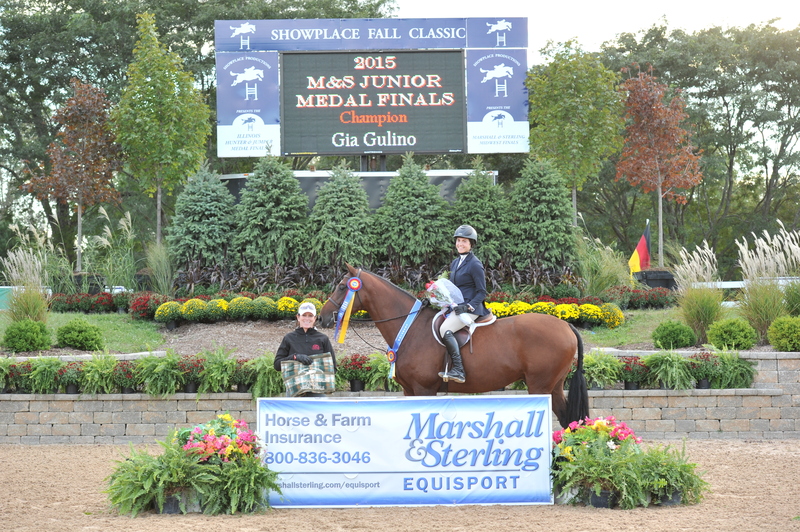 Most riders have separate mounts for the equitation and hunter divisions, but Gulino and Cappello conquer it all. Gulino and her trainer have put in countless hours, adding a practice horse and lesson horses to the program, to save her mount for the finals. Gulino has had lunge line lessons, sometimes twice a day without reins and stirrups, to strengthen her core and balance. Judge-Boyle even went out and bought some new jumps that will be like the jumps Cappello will have to jump in the finals to help prepare the team. Gulino attends Laurel Springs, a private online school, which allows her to spend extra hours training to prepare for the finals. Her experience at the Maclay Finals last year helps her understand the challenge and enables her to come back this year all the wiser. Gulino and Cappello head to the medal finals with experience from last year. Photo Andrew Ryback. Gulino plans to keep horses in her routine after the finals. She plans to look at colleges in the spring and has her eye on riding on an NCAA team. Gulino is grateful for the opportunities she’s had during her riding career. 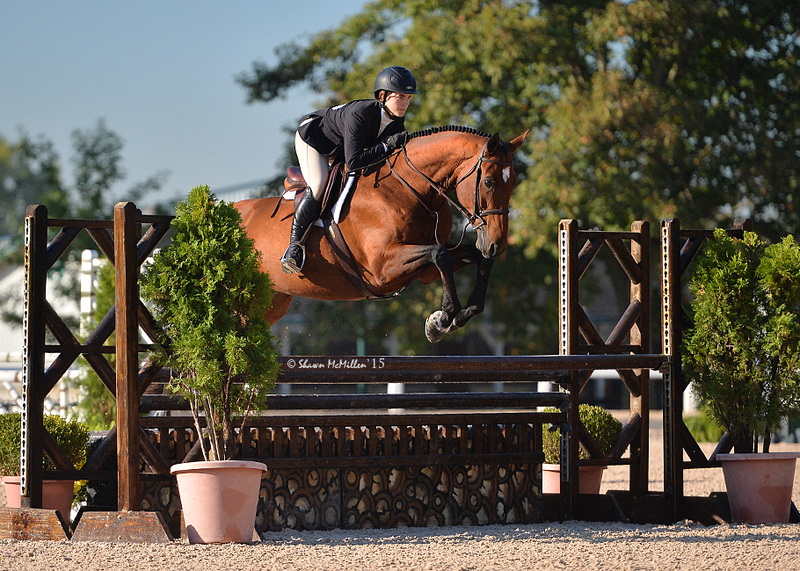 The Pennsylvania National Horse Show begins Junior Hunter competition on October 8th, with the USEF/Pessoa Medal Finals on Sunday, October 11th in Harrisburg, PA. The Maclay Medal Finals will take place at the CP National Horse Show in Lexington, KY, Saturday, October 31st with the final round on Sunday, November 1st.